Advil challenged Coyne PR to drive awareness and buzz, specifically during the cough and cold season to showcase how the brand can nurse America’s aches and pains. 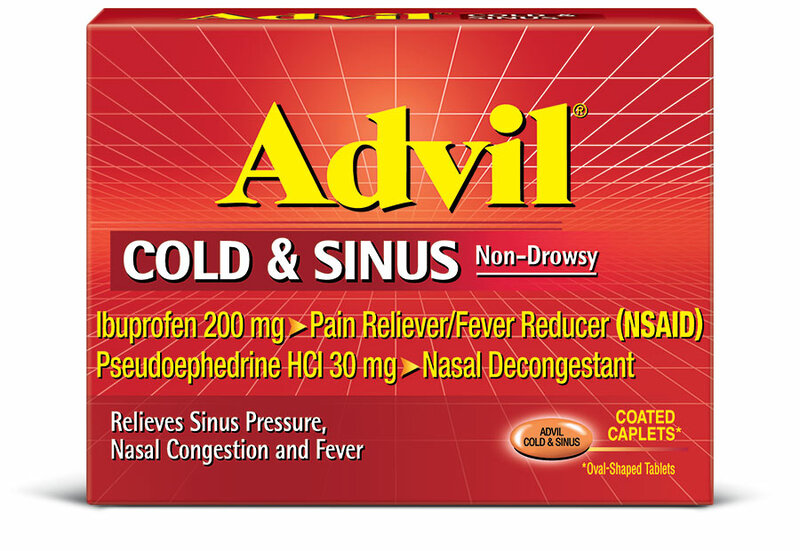 Coyne PR fielded the “In Sickness & In Health” study to generate consumer awareness of Advil Sinus Congestion & Pain. Specifically, the survey uncovered spouses’ true feelings about their significant others when sickness strikes. 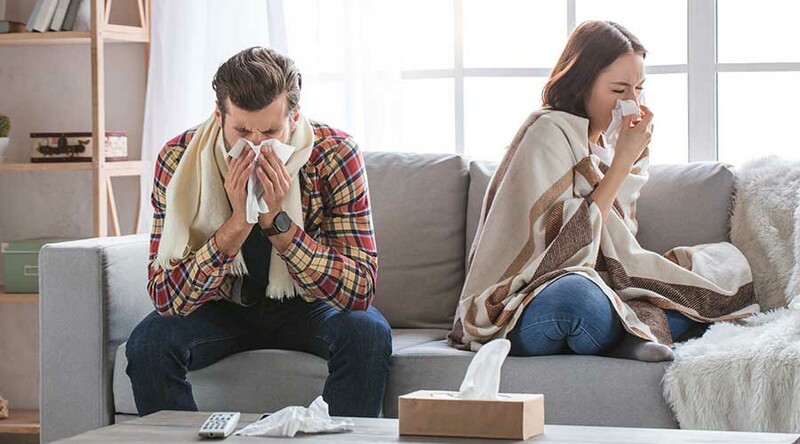 A partnership with a relationship expert helped position Advil Sinus Congestion & Pain as the ideal product to combat tough cold and sinus symptoms to get spouses back to their normal selves in no time and help restore harmony. Children’s Advil was entering the most important time of year for the brand – cold and flu season – and saw a critical need to leverage competitive gaps in the marketplace to establish both mindshare and marketshare. The brand turned to Coyne PR to create an aggressive, high impact, and quickly-executable campaign that tapped into the myths and misperceptions behind fever phobia. The program established the brand as the authority on fever relief, drove double-digit market share and elevated the brand to “#1 selling” status in the category. 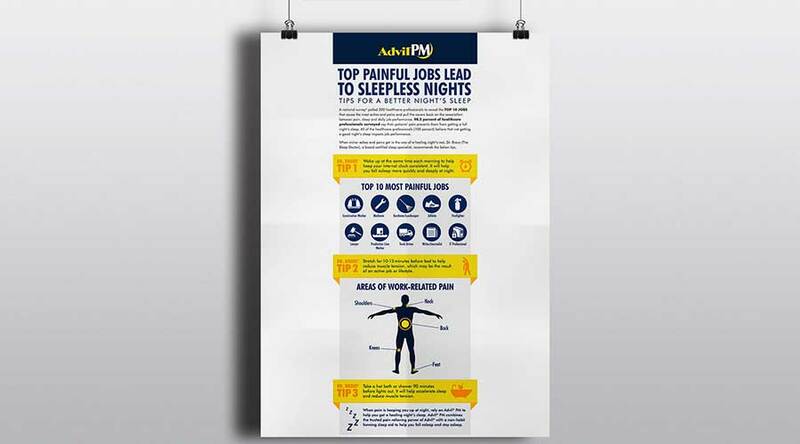 To establish Advil PM as the authority on the relief of pain-related sleeplessness, Coyne PR developed the “My Job’s a Pain in the …” campaign, which centered on a national survey of healthcare professionals to determine the most painful jobs and establish a direct connection between work performance, pain and sleeplessness. To promote #1 pharmacist recommended Advil Cold & Sinus, Coyne PR executed the “Ask the Pharmacist” campaign to position the pharmacist as a credible, yet often underutilized, authority. The team leveraged pharmacist and medical reporter Jim Morelli as the spokesperson for the campaign, which debunked common cold and flu myths, but also positioned Advil Cold & Sinus as the go-to solution to ask for at the pharmacy counter.